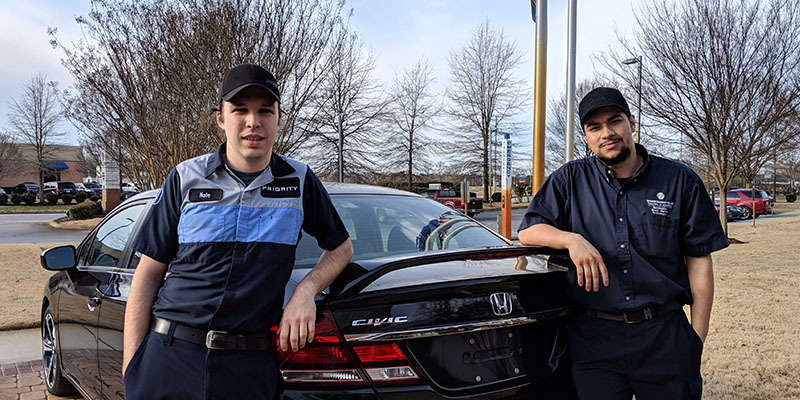 Nate Parker and Omar Lezcano never met Jordan McNair, but they are grateful for his life and passion for Hondas. They are the inaugural recipients of the Jordan McNair Memorial Honda PACT Scholarship, sponsored by Priority Automotive. Priority established the scholarship following the death of McNair, a student in Honda’s Professional Automotive Career Training program at the Regional Automotive Center. The McNair scholarship, which is for second-year TCC students enrolled in the Honda program, covers half the cost of tuition. Nate Parker and Omar Lezcano at the Regional Automotive Center in Chesapeake. Parker, 22, started off in information technology and realized it was not the field for him. 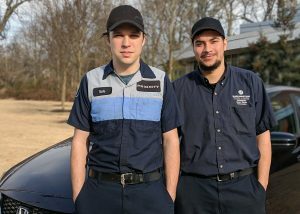 He never considered automotive as a career until he learned about the programs offered at TCC. Parker currently works at Priority Honda and will graduate with his Associate of Applied Science in Automotive Technology in May. He plans to continue working at Priority but would like to travel to Europe to work on Hondas there. Lezcano, 20, started working on cars with his cousin while in middle school. He decided to turn his hobby into a career once he visited the RAC. Lezcano credits the Honda program with increasing his knowledge “through the roof” and providing opportunities even before graduation. He works at Priority Acura and will earn his associate degree in May.